After dental implant placement the patient gets special temporary dental crowns. 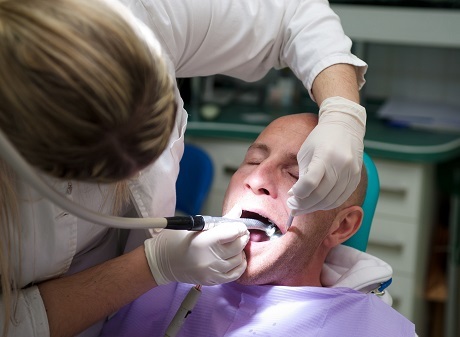 This way, the patient does not have to leave the dentist's office without teeth, which allows him to function normally while he waits for the osseointegration process to finish. Temporary dental crowns are free of charge for all our patients. After the surgical procedure, the surgeon determines the therapy for the patient, which is included in the price of the procedure. Each patient gets antibiotics, pain killers, ice, and if necessary even anti-inflammatory medication. Since placement of dental implants is not an invasive procedure, the patient can function normally immediately after the surgery, and can go back to his normal daily routine a day after. However post-operative swelling is a normal side effect, and can be present for a few days after the procedure. Osseointegration is the process where dental implant bonds with the jawbone. Time needed for the osseointegration is determined by the dentist, and is usually 2 to 3 months for lower jawbone and 3 to 6 months for the upper jawbone. Time needed for osseointegration depends on the complexity and the type of the procedure as well as the state of patient's bone. Prosthetic phase comes after the osseointegration of the implant is completed. After the implant has bonded with the bone, it is ready for the permanent dental crown to be placed. During the prosthetic phase visit, patient's temporary crowns are removed, and the oral surgeon opens the gums in order to reveal the implant. The cap, which protected the implant during osseointegration, is removed and the suprastructure as well as dental crown are being placed. Dental implant is placed inside the jawbone in all its length. In order to place the dental crown we need to elongate the dental implant, and for that we use suprastructure or abutment, which connects perfectly with the dental implant. Suprastructure will be the post for the new dental crown and will transfer the chewing forces on the placed dental implant. On the first visit after the implant placement, dentist takes a dental impression. During the time of osseointegration, a new crown is made in the dental laboratory, which will perfectly match patient's teeth with its shape and color. 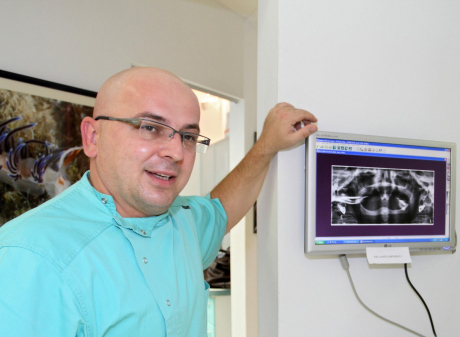 After the oral surgeon has placed the suprastructure onto the dental implant during the second visit, he checks the prepared dental crown and its properties so that it perfectly suits the patient. If all parameters are satisfied, dental crown is cemented to the suprastructure using special cement. After dental implant placement it is desirable to visit the dentist's once or twice a year for a regular checkup and cleaning of the teeth in order to preserve the warranty for implants. Each patient is responsible for its own regular dental hygiene, which is conditioned in the warranty. Oral hygiene after dental implant placement does not differ from normal oral hygiene of natural teeth. This includes regular brushing of teeth in the morning and in the evening, use of dental floss or silk and mouthwash as well as regular removal of tartar and plaque. Dental implants can last a lifetime after their placement. 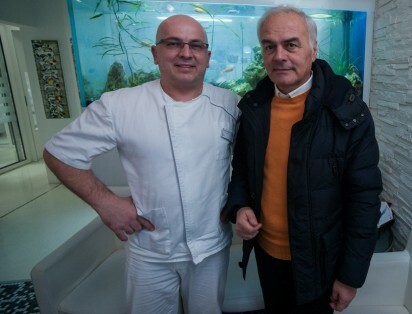 Of course, their lifetime will depend on the patient and his care of dental implants. Regular oral hygiene, visits to the dentist's for a checkup and tartar removal at least once a year can significantly prolong the lifetime of a placed dental implant. Habits and quality of life can also affect dental implants longevity. Dental implant rejection is very rare, but can happen. This primarily depends on patient's bone quality and his body. Persons with weak immune system have a greater chance of losing a placed dental implant. The risk is greater for smokers, as well as for patients who use specific types of medication. It is very important to mention any medication you take for any kind of disease during the consultation with your dentist. 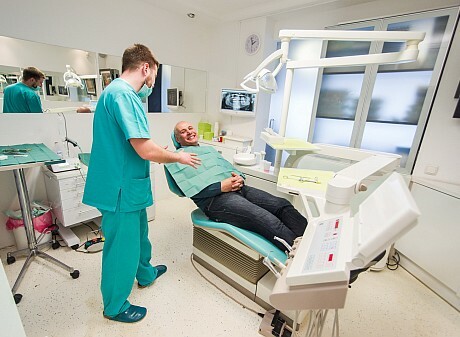 Percentage of successful dental implant placements in our clinic is far above the world's average.